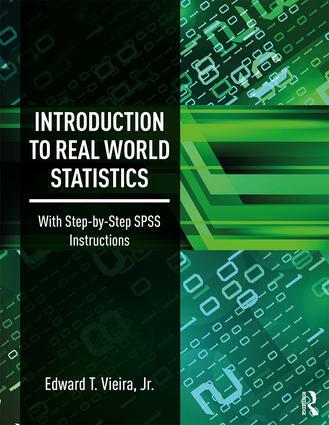 Introduction to Real World Statistics provides students with the basic concepts and practices of applied statistics, including data management and preparation; an introduction to the concept of probability; data screening and descriptive statistics; various inferential analysis techniques; and a series of exercises that are designed to integrate core statistical concepts. The author’s systematic approach, which assumes no prior knowledge of the subject,equips student practitioners with a fundamental understanding of applied statistics that can be deployed across a wide variety of disciplines and professions. chapter PowerPoints and test banks for instructors.